Make a smart style statement with a bold vertically striped wallpaper. 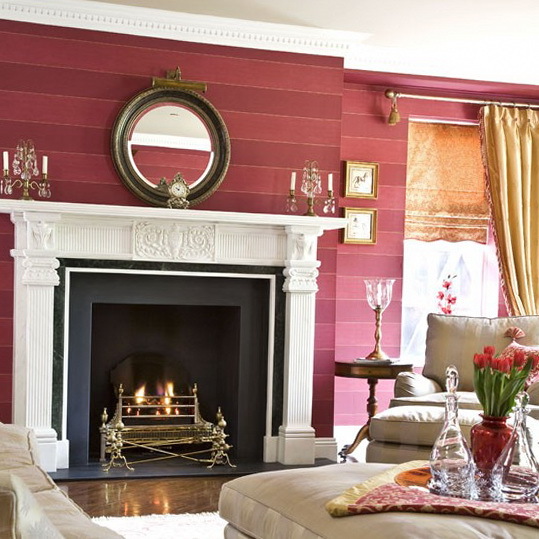 Here, a claret-coloured paper anchors an otherwise neutral scheme. 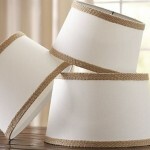 Try opting for unusual materials too, such as silk, to really pack a punch. 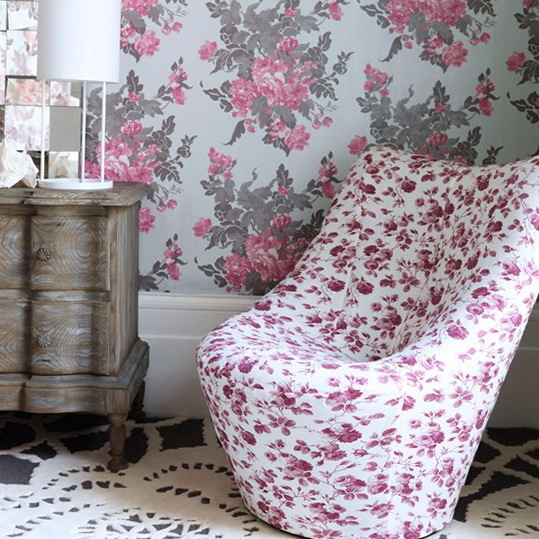 Add interest to a traditional scheme with a delicately patterned wallpaper. In this living room, subtle twigs and leaves are complemented by a Venetian glass mirror and a modern chandelier. Try contrasting a bold wallpaper with a neutral wall paint. 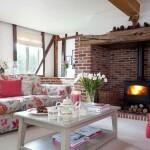 Here, a chimney breast is covered in a vibrant floral, while the adjoining alcove is painted in a complementary shade. In this living and dining area, one wall does the talking amid a largely white and wood scheme. A giant pendant, table light and family sofa enhances the vibrant orange and brown hues featured in the patterned wallpaper. 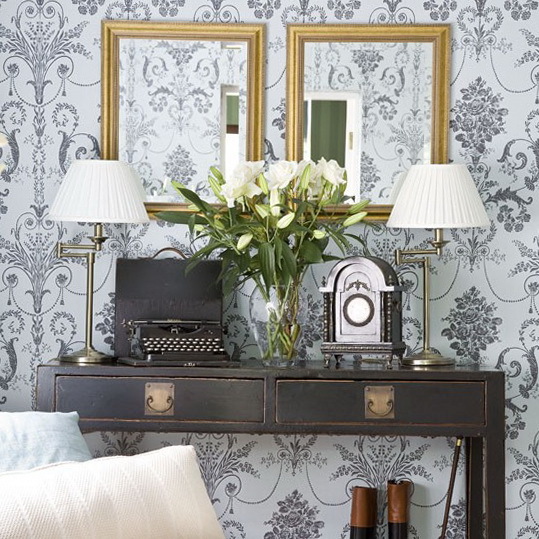 In this scheme, an elegant blue patterned wallpaper is anchored by symmetrically placed mirrors and table lamps atop a vintage console table. 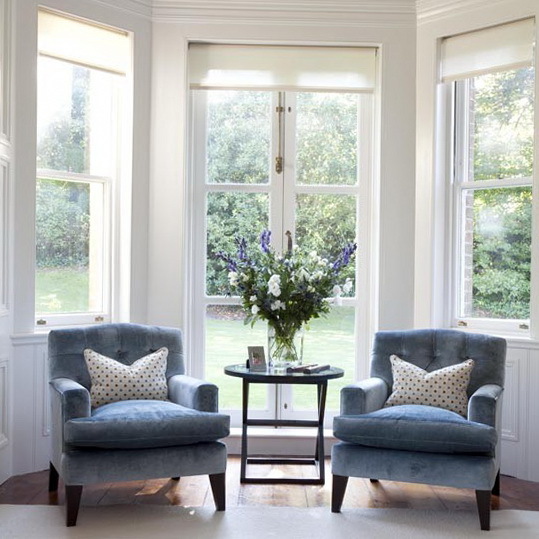 Enhance a monochrome, softly metallic wallpaper with silvered furniture and picture frames. Enliven an awkwardly shaped room with an on-trend wallpaper on one wall. 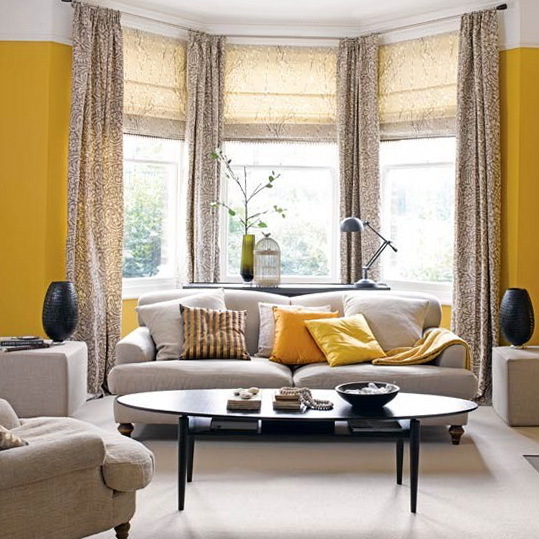 In this living room, a white scheme is lifted with pops of zesty orange via cushions and a bold floral wallpaper. 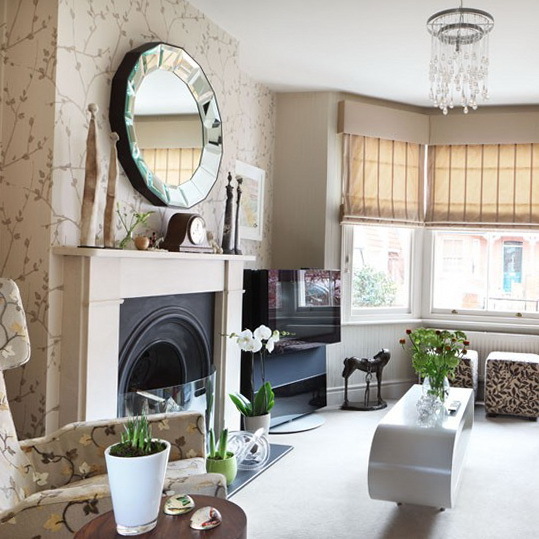 Add a sense of grandeur to a traditional living room scheme with a whimsical wallpaper. 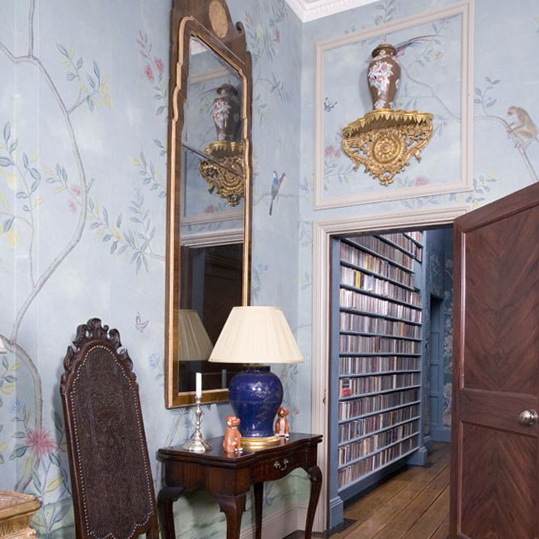 Here a delicately sketched printed paper is offset by a tall gilt mirror and dark wood furnishings.